On a cool summer night, the Maroon Bells drifts across Maroon Lake, North Maroon and South Maroon Peaks. These two 14,000' summits are arguably Colorado's most grand and most photographed mountains, and its easy to see why. 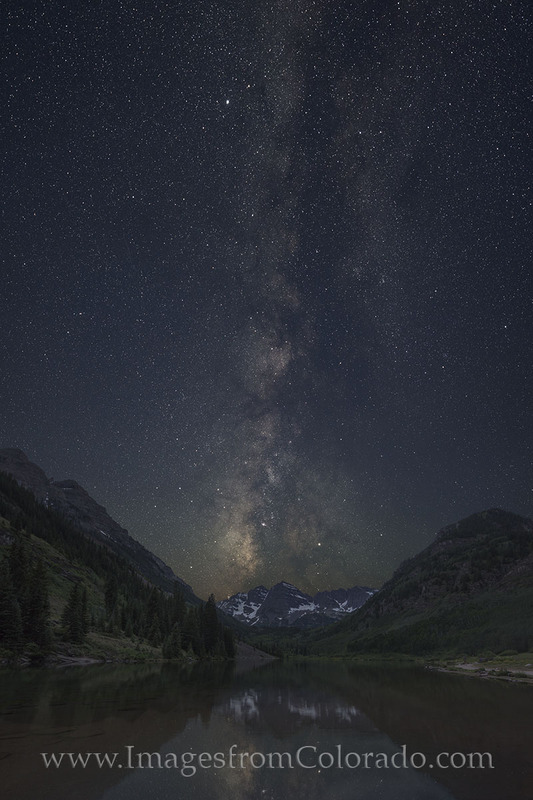 Nestled in the Maroon Bells Wilderness area near Aspen, Colorado, and as part of the Elks Range, this area offers miles of hiking, passes and mountains to explore, wildflowers in summer, and amazing summer nights away from the lights of town. Photo © copyright by Rob Greebon.